Will Groupe Beneteau ship its yachts to the U.S. via sailboat? Evinrude parent corporation BRP acquired Alumacraft last year. Groupe Beneteau said that it is considering shipping its European-built boats to the U.S. on cargo sailing ships. The recreational builder made the announcement during Transport and Logistics Innovation Week (SITL). Groupe Beneteau said in a statement that it is working with the Neoline project, a French company that will design and manufacture energy-efficient, cargo-sailing ships that specialize in oversized freight. The firm said it will start transatlantic deliveries from Saint-Nazaire in France to the U.S. east coast in 2021. 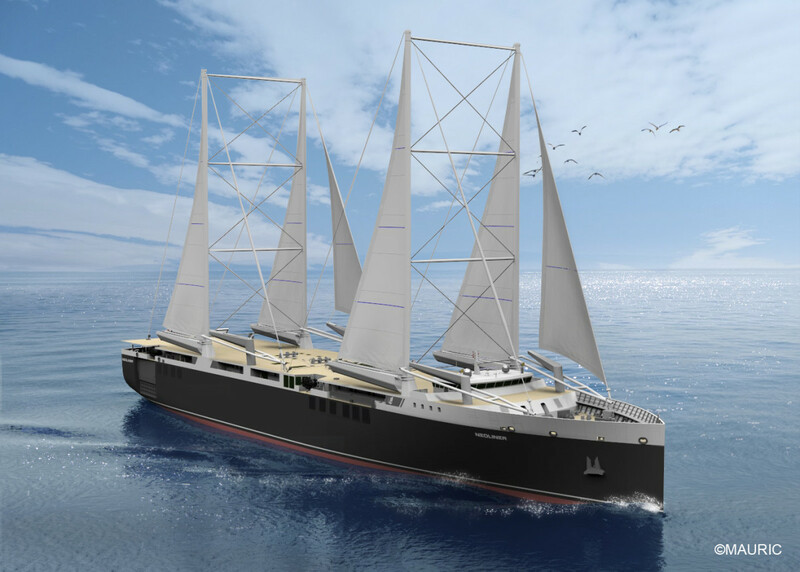 Allaume added the fact that the cargo ships are using sails made it “a natural choice” for the world’s largest recreational sailboat builder. Péry said that the combination of “cost-cutting speed and optimized energy mix” allows it to reduce carbon emissions by up to 90 percent compared to a traditional cargo ship on the same route. The 479-ft. vessel, which allows the boats to be driven on and off, rather than lowered onto the ship with a crane, has a sail plan of more than 45,000 square feet. Neoline plans to commission its first two ships by 2021. The company was founded in 2015 by a team of maritime professionals committed to transform the shipping industry into a more responsible maritime transport business. Its objective is to become the first ship owner to fully embrace energy efficiency by harnessing wind power as its primary energy source.